This novel has that wonderful gothic feel you expected from Bram Stoker. 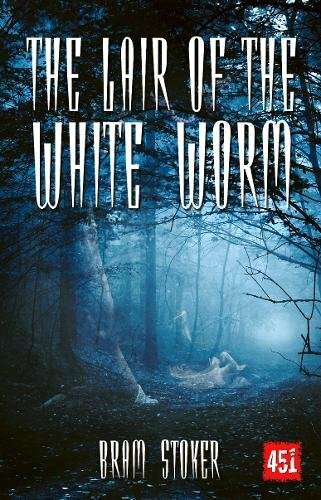 (The Lair of the White Worm was his last book.) HOWEVER....There is a single black character in this story, and he's developed with ever Jim Crow era stereotype imaginable. There is also the constant use of a particularly offensive racial slang word. All this made the book uncomfortable to read. I released this perhaps a week ago. After a few tries of reading it and not getting anywhere, it was clearly not for me. I claimed this softcover at this afternoon's BookCrossing Meetup at the Porter Square Panera in Cambridge MA. I recall the rather cheesy 1988 film that was loosely based on the book, and thought it'd be fun to read the original.